Ais Mc: Interview: Lauren Bird. Music doesn't really get an awful lot of praise on my blog even though it's something I can't go an hour without listening to. My range varies, big style. And even though I'm obsessed with Taylor Swift and Little Mix at the minute (sad but true) sometimes I like something a bit more chilled out but still with those pop influences: enter Lauren. 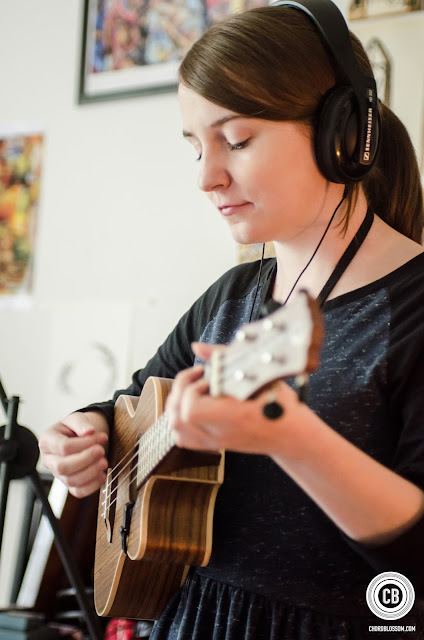 I've known her since my emo - teenage years (yep) when we used to play in an orchestra together, but I only realised her amazing talent when I heard her incredibly arranged YouTube covers, and then I was obsessed with her debut self-titled EP. After just a few plays of her new single 'Goodbye, Good Luck' I'm already humming the melody. 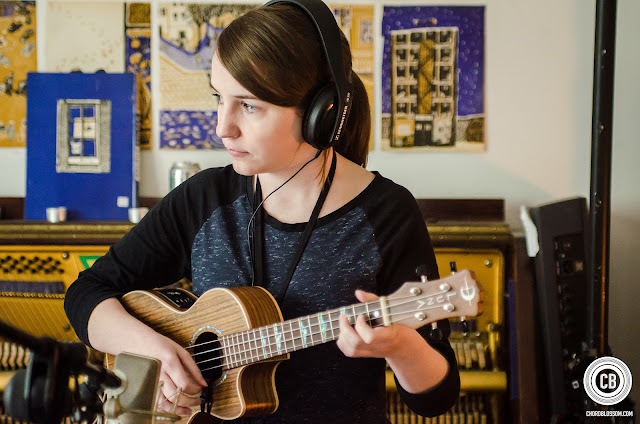 And with it being released this week, it seemed like the perfect time to ask a few questions to the lady behind the ukulele. I started playing around 7 when I was given a viola at school and then I fell in love with music in general. I started learning guitar when I was 10 but I don’t think I actually started writing songs until I was around 13. Those songs will never see the light of day though because they are embarrassingly bad! I play six: viola, guitar, bass, drums, piano and ukulele but sadly I can’t play them all at the same time, despite my best efforts. I tend to play guitar and ukulele mostly now though, they are the ones I write with. Where did the attraction to the ukulele come from? It came mainly for practical reasons because I’m pretty small and have the hand size of an 8 year old so I kept getting repetitive strain injury from the piano and guitar. I saw one for sale for £20 so I thought I would try it out and I instantly fell in love. I have three different sized ones now but I usually play the tenor uke on stage because it has a fuller sound. Which famous musicians do you admire and do you take inspiration from them? There are loads! I listened to Green Day a lot when I was a teenager and although my music is nothing like theirs I feel like the simplicity of their songs is definitely something that serves as a basis to mine. Then I just adore a lot of singer-songwriters but I think my biggest inspirations would be Regina Spektor, Merrill Garbus from Tune-Yards and Alanis Morissette. I just love everything about their music. Alanis is always very confessional and I tend to write very honestly too, I think mainly because I’m not remotely smart enough to cloak lyrics in metaphors! Regina is my favourite songwriter because she has songs for every mood and she doesn’t write about the same topics a lot, I try to do that too. 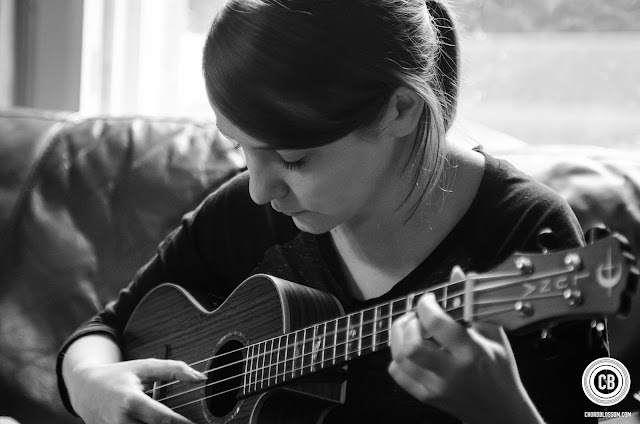 Merrill is a big inspiration of mine recently for so many reasons, her ukulele skills being one of them. She also wrote, arranged, recorded and mixed her first album herself and it’s one of my favourites so when I’m feeling a bit lazy I think of that. I had crippling stage fright for so long and it’s something I have slowly gotten over. A few years ago I decided that I wanted to pursue music anyway and every time I would plan to do an open mic I would feel sick for days beforehand with dread. Now it’s not so bad and a lot of the time I just get excited about playing. I think being a little nervous is healthy though because if I wasn’t nervous then I wouldn’t care about it and I think that’s all it is now. It’s not a fear of singing in front of people but of not being good instead. The only time I get very nervous now is either before I play a new song live for the first time or I’m playing to a lot of people but I think I’m slowly getting past that too. Oh, and being on the radio! I love your YouTube covers, is that something you enjoy doing? Thank you! Yeah, I do because I always pick songs I’m obsessed with at the time and I love arranging them into my style. Each 3-4 minute video takes between 6-8 hours to make though and there is usually an hour or two were I start to question why I’ve done so many parts but when they all come together at the end it’s great. It’s also a good way for people to discover my own music, which is the end goal really. Just to keep working at it and keep writing. My first single is out on the 24th August and I have my first headline show in The Bar With No Name in Belfast on the 28th, which I’m excited/nervous about. I have an album load of songs written, it’s just being able to afford to record them now. I would love to be able to release my first full length album next year, but I will have to wait and see. Where is the best place for us to keep up with you? At my website laurenbirdmusic.com or on any social media with /laurenbirdmusic including youtube, I’m not original. There’s also a link on my website to join my mailing list, which I only use to post about the important things, not the very stupid thoughts I have all day like Twitter. Most importantly though all my music is available on Bandcamp, iTunes and Spotify. Below are a couple of my favourite covers by Lauren, obviously One Direction and Taylor Swift. They are honestly amazing and give you a brilliant insight into how much effort Lauren puts into her work.